Gujarat has a population of more than six crores and 65 per cent of this population comprises of employable youth. The dropout rate from schools was touching 63 per cent, rendering the drop outs unemployable due to lack of basic skills. The Directorate of Employment and Training (DET), under the department of Labour and Employment, is responsible for boosting employability of the youth of Gujarat and for supporting vocational training needs, which are essential to create a favourable employment climate for the poor, socially backward, residents of remote areas, drop outs and young students.This is achieved through a series of skill-building programmes that are aimed at providing training based on latest industry requirements. Training on various skills is provided through Kaushalya Vardhan Kendras (KVK) and Industrial Training Institutes (ITIs). 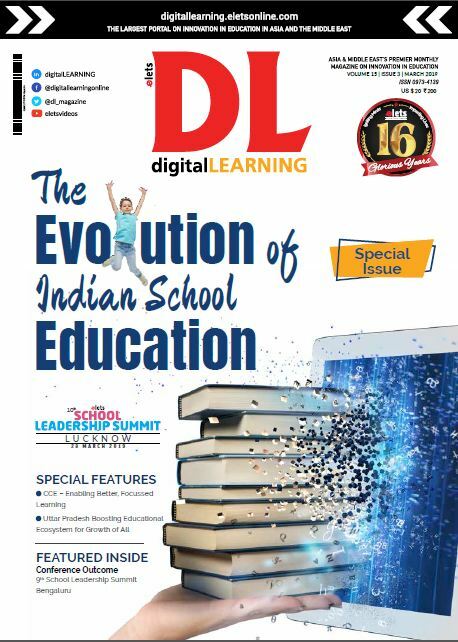 (a) While training was provided on a constant basis, there was no way to keep the training in sync with the changing trends in the industry as it remained disconnected with the department efforts. This made it difficult for the department tokeep up with the latest industrial trends. 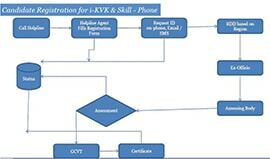 (b) An easier way to manage training modalities of approximately 4.7 lac yearly ITI applications and the services provided through almost 500 KVKs was required. (c) Prospective trainees required an interface through which interaction with DET could be made smoother with minimal effort investment by the trainees and DET. 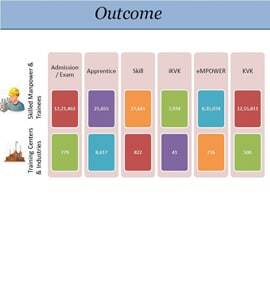 (d) Once training was provided, projecting the employability to the right industry vertical was a make or break point of the entire purpose of the department. Until then, this was being done in an unsystematic manner. Moreover, with no common platform for all stakeholders to come together and participate with a single focus, it was difficult to meet the objectives of the department. Realising the need for enhanced measures to achieve the department’s objective, DET embarked on a comprehensive modernisation strategy of the entire department. 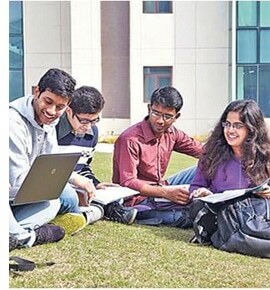 The department proposed the creation of an “Industrial Interface Cell” – a platform to enable real time collection and sharing of information of vocational training institutes, courses, skilled labour between skill seekers, job seekers and job providers– and “Admissions Management, Exam Assessment and Control System” – to make admissions and examinations easier, transparent, faster and time bound. Online Admission Management – This system manages admissions processes for all admissions into Industrial Training Institutes (ITIs). Approximately 4.7 lac ITI applications are received on a yearly basis by the department and until this system, the admissions processes was being managed in a decentralised and manual manner at the respective ITIs. Prospective trainees can now apply online from any place in the State irrespective of the ITI they wish to enrol in. Applications are received online by DET and managed centrally until result declaration. Online Exam Assessment and Control System – This system manages all examination activities such as applications, hall-ticket generation, Question Bank management, Exam Management, Packet Distribution and Collection and Assessment Management. As a result of this, the management of examination is decentralised but the controls over the entire system remains with DET. Exams are managed efficiently and results are also declared faster. Industry Interface Cell – The Industry Interface Cell, a brainchild of DET, was implemented in the form of an online portal where the industry, the youth seeking skill training and certification, the trainers and the department could come together. The database of trained youth is made available to job providers and industries could put forth their skill requirements thus making it possible to provide training in sync with the latest industry requirements – something which wasn’t possible earlier. The entire solution is web-enabled and the solution has been deployed in shortest span of 90 days and is being constantly updated with feedback from industries and other stakeholders of this system. Hosted at the data-centre, the entire system is following the work-flow and system management architecture providing check-points and vivid level of the organisation. With such innovative e-Governance initiatives, DET is trying to involve more industries in partnership for starting i-KVKs in the future. The online admission system is a tested and stabilised system. Further, the online examination and control system is going to be expanded to online skill related learning courses with practical training in ITIs and online examination system. Preparation of eLearning material for ITIs and other vocational training courses is being undertaken. For skill certification and vocational training, spreading awareness to end users will be a key part of the project and DET intend to do that through their own TV channel for e-Learning which will be broadcasted through BISAG. The online job portal with two way free communications and matching between job seekers and job providers is being prepared and tested for two districts. This job portal is expected to be launched this year.